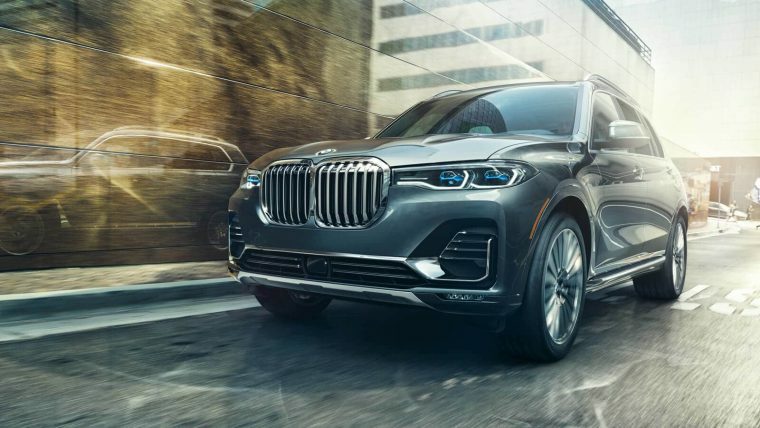 Big news for Bimmer fans — there’s nothing small about the 2019 BMW X7. 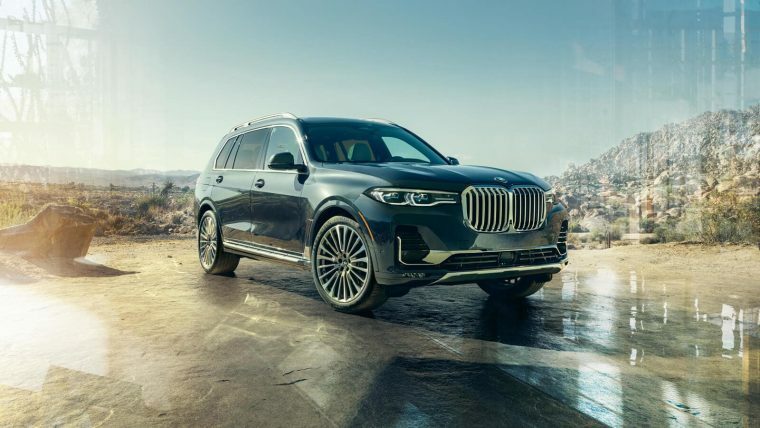 Sporting the largest kidney grille in BMW history, the X7 is an over-the-top luxurious Sport Activity Vehicle. Here’s a look at just a few of the highlights of this massive charismatic SAV. This beefy Bimmer is available at two trim levels — the xDrive40i and the xDrive50i. The xDrive40i has a turbocharged 3.0-liter inline six-cylinder engine, which puts out 355 horsepower and 330 lb-ft of torque. 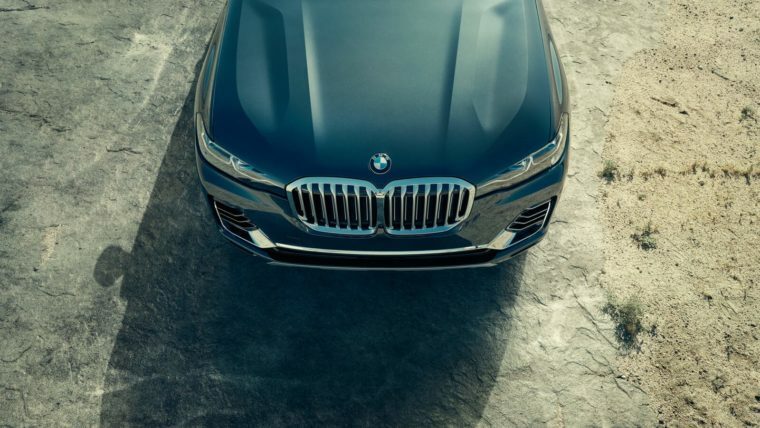 The xDrive50i, on the other hand, boasts a twin-turbocharged 4.4-liter V8 that delivers 456 horsepower and 479 lb-ft of torque. 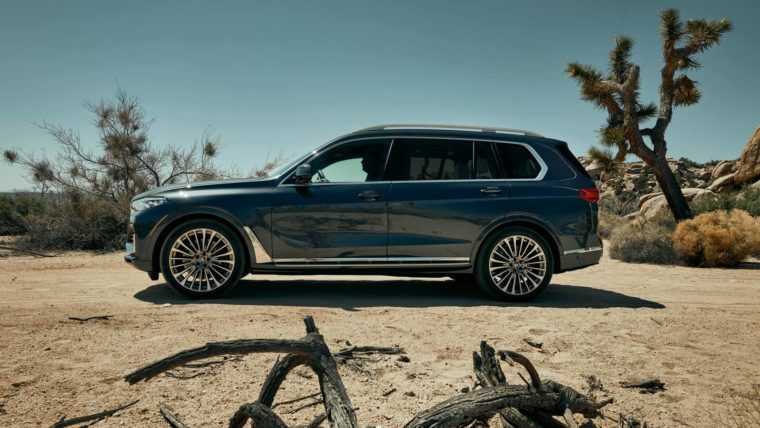 The upper trim level also comes with the Dynamic Handling Package, which gives you four-wheel steering, M Sport brakes, and M Sport differential, and a feature called Active Comfort Drive with Road Preview. This driver-assist technology uses forward-facing cameras to spot upcoming turns and road imperfections, then prepare the suspension accordingly. 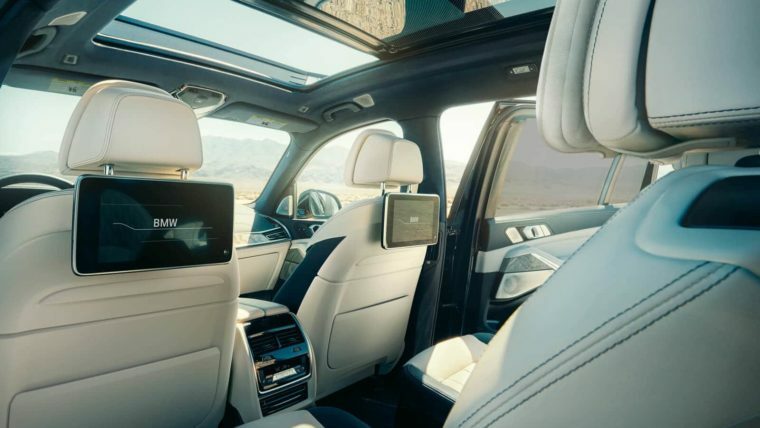 The BMW X7 can seat seven people with room to spare. It’s got a total capacity of 90.6 cubic feet, and there’s a switch in the cargo hold to lower the X7 by 1.6 inches for easier loading through the split-clamshell tailgate. 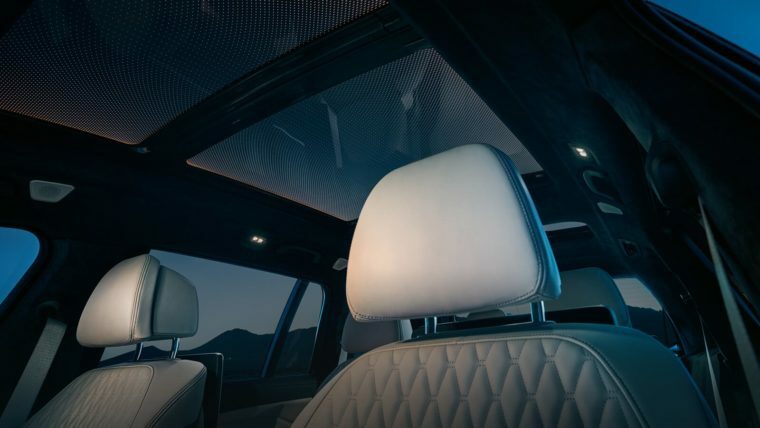 Customize the cabin with optional features like ivory-and-blue Merino leather appointments, heated-and-cooled seats in all three rows, armrest warmers, hot-or-cold cupholders, massaging front seats, a panoramic lounge roof, and soft-close doors. You can even opt for the Ambient Air package, which offers eight fragrances and 20-speaker 3D surround sound system from Bowers & Wilkins. 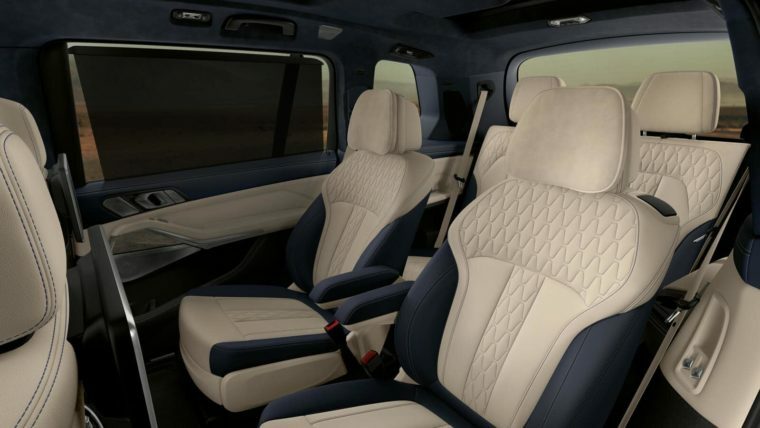 Unlike most SUVs, which offer progressively more cramped and less-luxurious seating in the back rows, the X7 boasts high-quality, luxurious materials across all three rows of its seating. In the second row, you can pick between a three-seat bench and captain’s chairs. 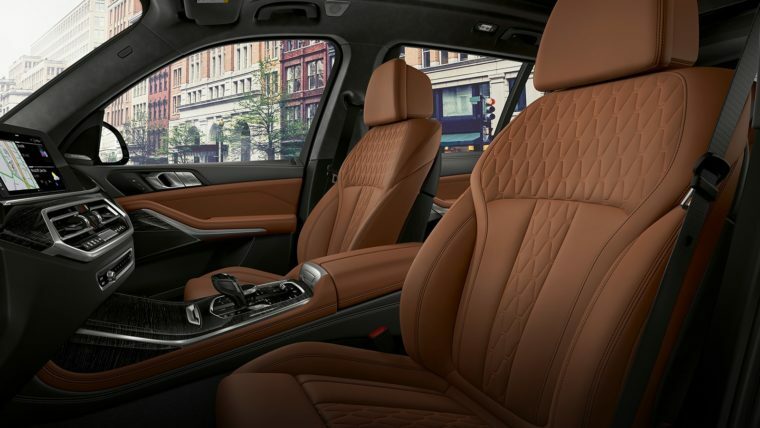 In the third row, there’s plenty of headroom, legroom, and comfort features — like powered seat adjustments and climate control. 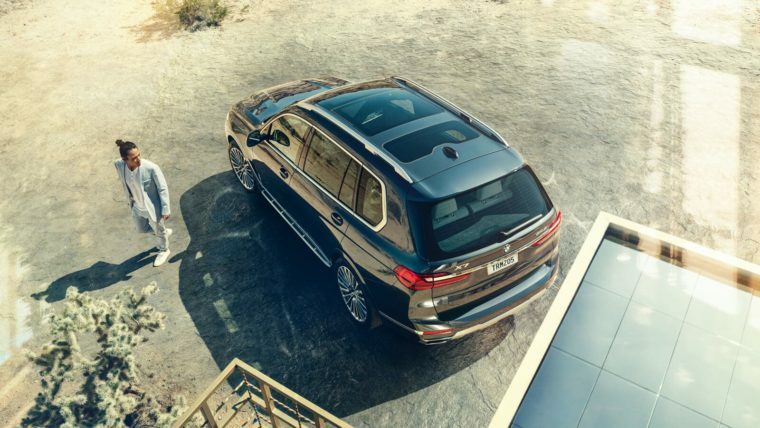 Behind all the glitz and glam, the BMW X7 is a family vehicle — and like any good family vehicle, it comes with a wealth of smart safety features. It comes standard with blind-spot detection, lane departure warnings, cross-traffic detection, and it will even auto-brake if you seem like you’re going to hit a cyclist or pedestrian. 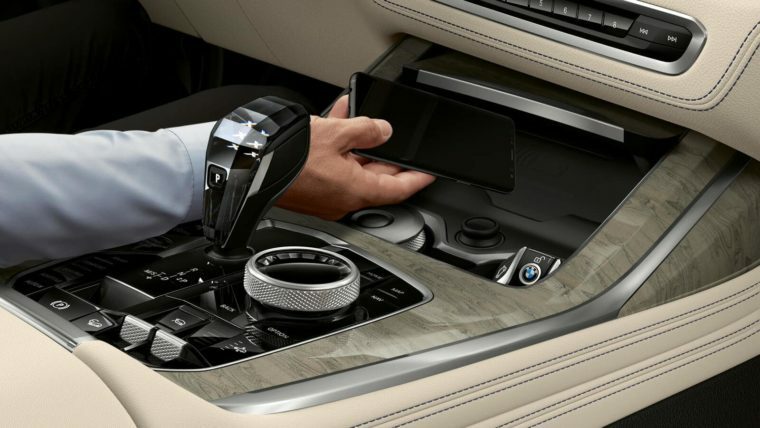 If you become incapacitated while driving, the X7’s Emergency Stop Assistant will take the wheel — and the brakes. If road conditions allow, it will either execute a controlled stop your current lane or move to a road edge, activate the hazard lights, and send an emergency call. There’s also an interesting feature called the Back-Up Assistant, which allows the vehicle to reverse its last 50 feet of forward travel — useful for backing out of driveways or tight parking spots. Other optional safety technologies include a 360-degree camera, adaptive cruise control, and the Extended Traffic Jam Assistant, which works the gas and brakes to help you inch along in bumper-to-bumper traffic.